We love to cook, but peeling? – not so much. Peeling is best done with the minimum of fuss. We want a fast every day peeler that works on anything. 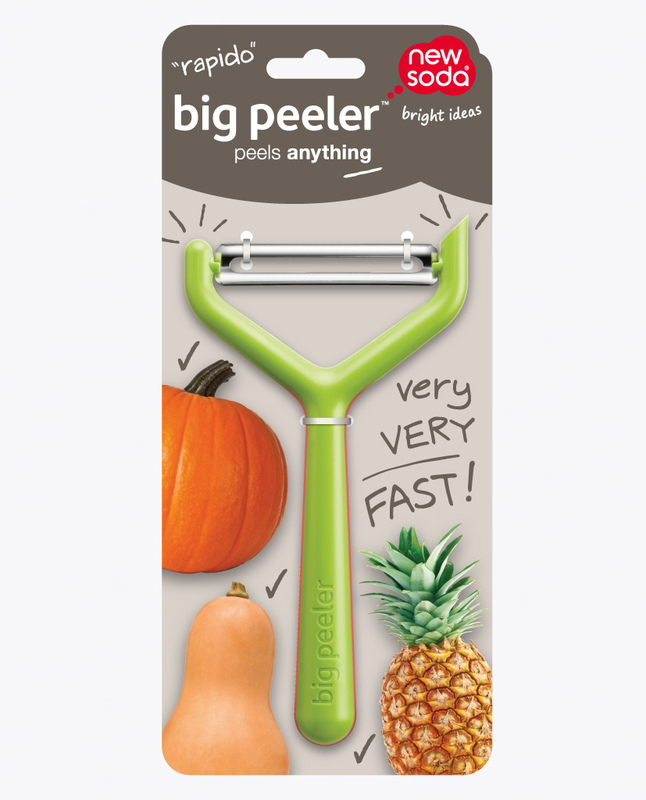 big peeler™ is an over-sized peeler with a specially developed blade designed for tackling tough vegetables. 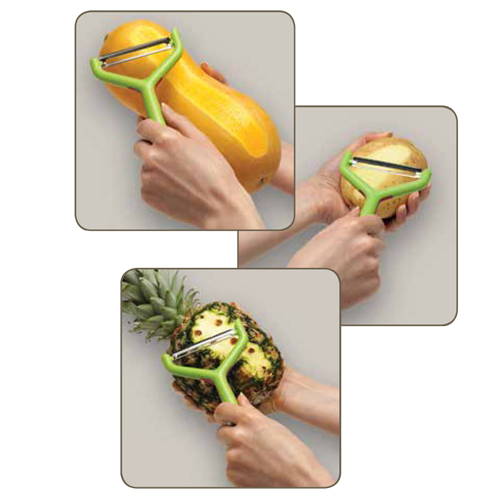 The blade is 50% larger than standard Y shape peelers and will peel something like a butternut squash in under a minute. On everyday carrots and potatoes it is very fast indeed, needing very little pressure and far fewer strokes. It will even peel a Pineapple. Designed by the influential designer Damian Evans.